Winner of two Latin GRAMMY® Awards in two categories, for "Best Latin Jazz Album" and "Best Classical Contemporary Composition." 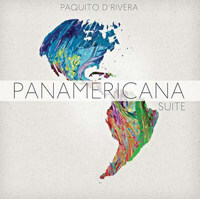 Recorded live at Pittsburgh’s Manchester Craftsmen’s Guild for MCG Jazz, Panamericana Suite takes its name from a piece commissioned by Jazz at Lincoln Center that D’Rivera premiered in 2000. A stunning cultural synthesis encompassing North, Central, and South America leavened with a Caribbean rhythmic sensibility, the project reflects D’Rivera’s embracing musical vision. 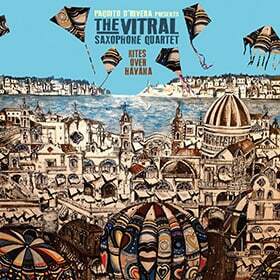 The new CD boasts an all-star international cast, with Pedro Martinez (batas, timbales, vocals), Pernell Saturnino (percussion), Oscar Stagnaro (bass), and Mark Walker (Percussion) comprising the supple rhythm section.